Dallas has enthusiastically received the simultaneous provision of both the first two weeks of the Green Belt and Black Belt training and certification. Such enthusiasm is in many ways understandable since it frees up organizations for far greater flexibility. Further the entire enthusiasm and excitement quotient goes up many notches higher in Dallas when we consider the fact that there is a variety of onsite Six Sigma Champion leadership courses on offer as well, all of which will of course do organizations keen on implementing six sigma principles a world of good. At the moment the latest good news is that there is a $1000 discount on offer for signing up for your simultaneous Green Belt and Black Belt after Green Belt; simply use the discount code BB1000. 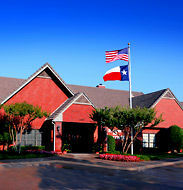 You may also call the hotel directly @ +1 (972) 866-9933 and reference 6Sigma group. The spacious suites in this Addison, Texas hotel feature thoughtful amenities to make extended stays as comfortable as possible. We offer both one- and two-bedroom suites with separate living and sleeping areas, and comfortable Serta Suite Dreams® bedding. Whip up a home-cooked meal in the fully equipped kitchen that includes a full-size refrigerator, microwave and dishwasher, as well as eating utensils and, if you like, we’ll even do your grocery shopping for you. All suites feature complimentary high-speed internet access to ensure you stay connected while you’re here, and our flat-screen TVs offer premium cable viewing. Enjoy special touches such as complimentary bath products, iron and ironing board, hairdryer, laundry/valet services, and a weekday newspaper delivered to your room.